ST Restaurant in Santa Teresita is a restaurant of national and international food with a varied menu and delicious dishes you'll love. 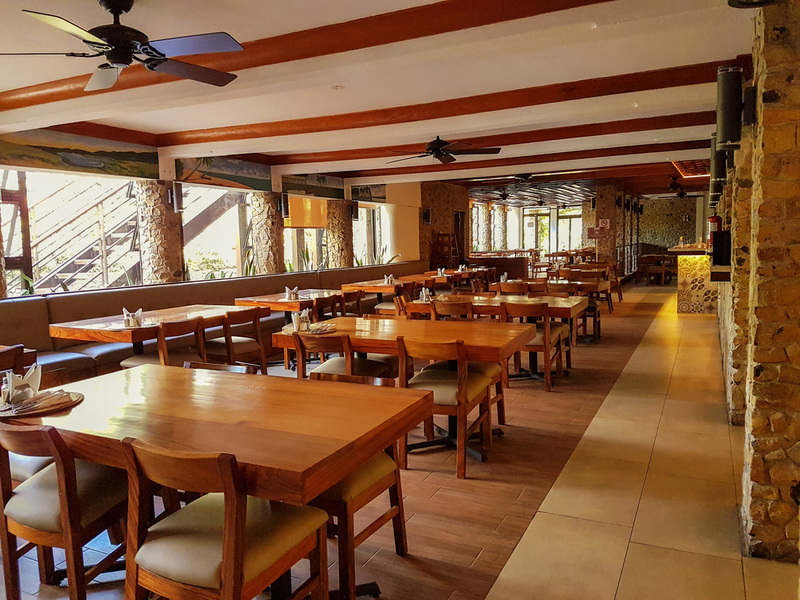 ST Restaurant is located in the interior of Santa Teresita Hotel and Spa Resort between the two pools sectors, but if you want to eat outdoors and want to eat with your bathing suit can visit any of our fast food kiosks Las Brisas. Guatemalan recipe prepared with bacon, accompanied with fresh cheese, tortilla chips, and corn tamale. 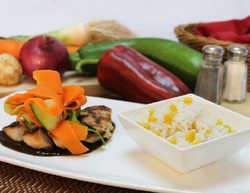 Combination of local handcrafted ingredients, accompanied with avocado, chicken, and Chipilín tamale. Lettuce salad mix combined with palm heart , avocado, black olives, sweet corn, and grilled chicken. Accompained with dressing or vinaigrette. Traditional combination of lettuce and croutons mixed with Caesar dressing, accompanied with grilled chicken. Selection of fruits of the season. Chopped or grilled sausages, accompanied with Jalapenos, beans, and avocado. 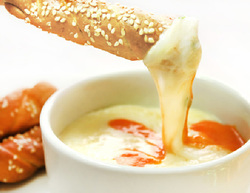 Melted Cheese and white wine, accompanied with sticks of artisan bread. 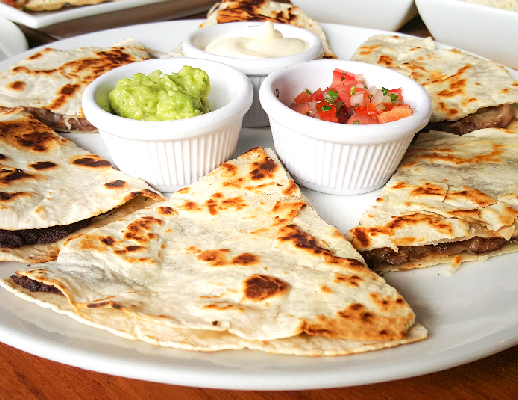 Stuffed flour tortillas with grilled chicken or tenderloin (according to choice) and mozarella cheese, accompanied with pico de gallo, sour cream, and guacamole. 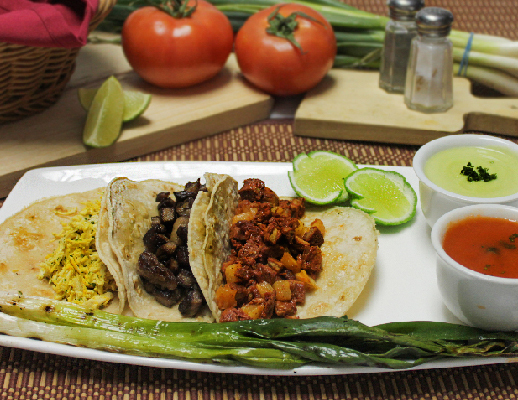 The classic Mexican tacos, accompained with avocado sauce, onions, and roasted onions. 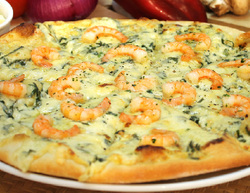 White sauce, mozzarella cheese, goat cheese, and shrimps. 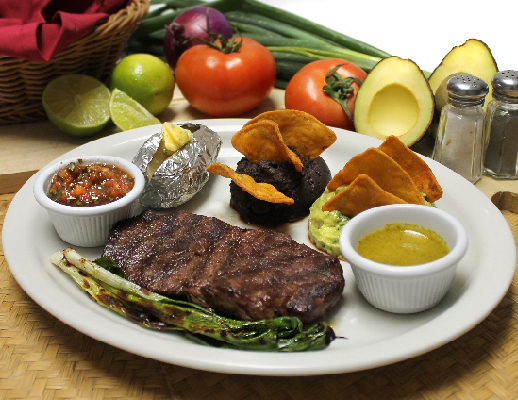 The type of cut or grilled meat of your choice, accompanied with guacamole, black fried beans, onions, chirmol, and tortillas. Signature dish of our kitchen, which combines the best flavors of seafood and beef loin. The type of cut of your choice, shrimps, and octopus. Served with guacamole and black fried beans. 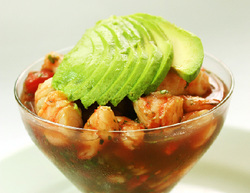 According to our guests... the best Ceviche in town. 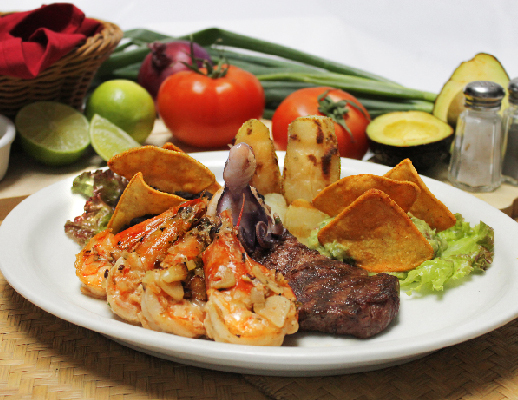 A mix of octopus, crab, fish, and shrimp, combined in an original recipe of our chefs in Santa Teresita. 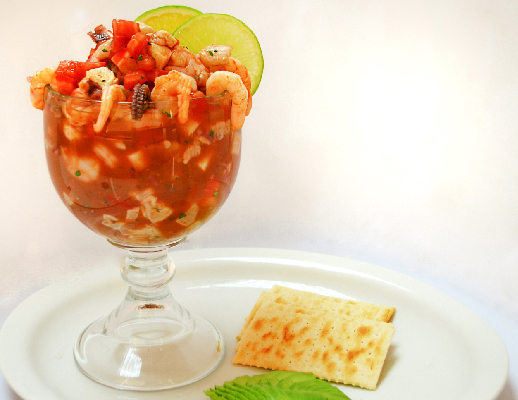 Guatemalan classic recipe of ceviche, accompanied with avocado, and soda crackers. Tilapia fillet marinated in garlic sauce and cooked on the grill. Served with spaghetti, rice, and vegetables spaghetti. 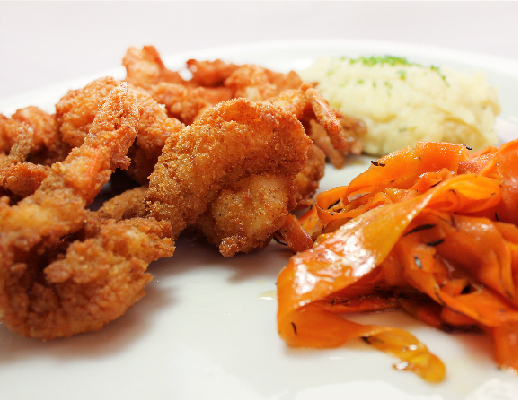 Breaded shrimp accompanied with mashed potatoes and vegetables spaghetti. 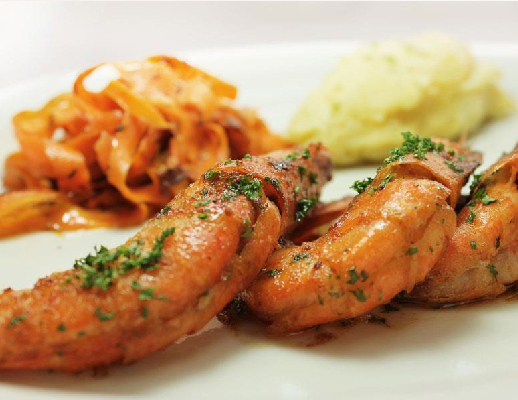 Grilled shrimps marinated with garlic, accompanied with mashed potatoes and house salad. Mojarra Fish steamed with aromatic herbs and white wine. ¡ We will be waiting for you !